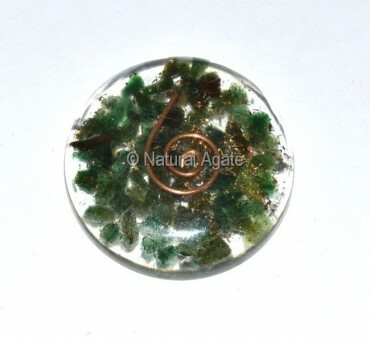 Green Jade orgone disc cabochon attracts luck and fortune. It is 35-45mm in size and weighs 10-12gm. It is available on Natural Agate.